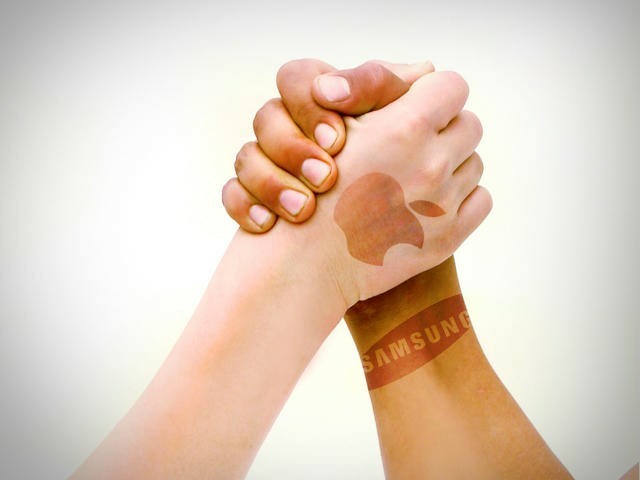 Apple and Samsung have been at one another's throats in court rooms around the globe. In fact, the two companies are currently fighting patent battles in nine countries. The most prominent headlines have been court scuffles in Germany and Australia where Apple has successfully managed to ban Samsung's local subsidiaries from selling the Galaxy Tab 10.1 for a short period of time. However, according to FOSSPatents, the two companies will appear in court within the next 90 days in an effort to settle ongoing disputes, ahead of a U.S federal trial that's currently on target to kick off in July. Patent expert Florian Mueller of FOSSPatents said the settlement isn't exactly a voluntary move from either company, however. Instead, Judge Lucy Koh from the Northern District of California, where one of the lawsuits Apple has against Samsung is currently being presided over, has ordered the two companies to "comment on their availability for an Alternative Dispute Resolution (ADR)." Both firms will have to cooperate under that mandate. "As directed by the Court, Apple and Samsung are both willing to participate in a Magistrate Judge Settlement Conference with Judge Spero as mediator," the firms said in a statement to the court, FOSSPatents reported. "At Apple, the chief executive officer and general counsel are the appropriate decision-makers, and they will represent Apple during the upcoming settlement discussions. At Samsung, the chief executive officer and general counsel are also the appropriate decision-makers, and they will represent Samsung during these settlement discussions." It doesn't mean the two are guaranteed to settle, however. Oracle and Google agreed to similar terms last year and are currently at trial.